This past January Kala Art Institute releases a new series by Enrique Chagoya. 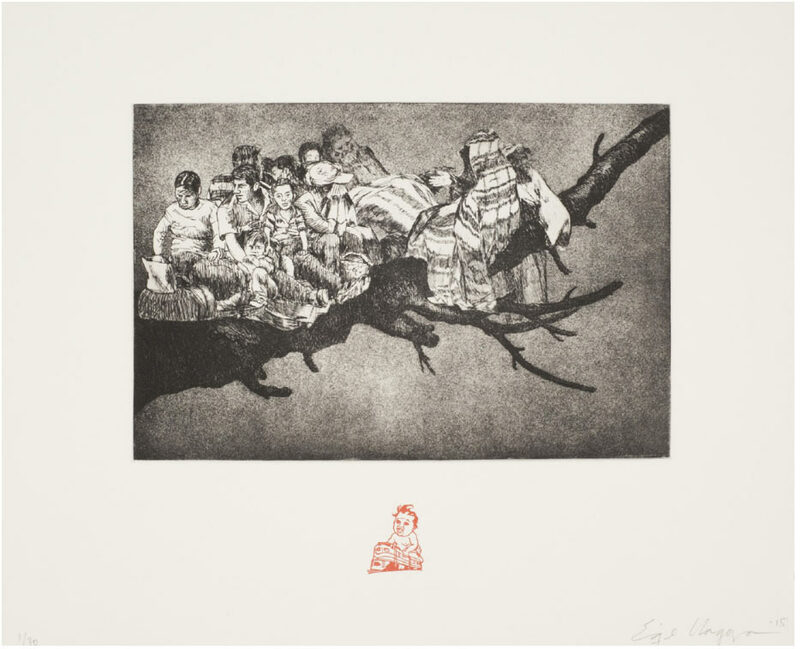 Los Disparates, a collection of six etchings, is modeled after a series of prints by Spanish artist Francisco Goya. Chagoya, who has lived on both sides of the U.S.-Mexico border, as well as in Europe, employs secular and religious symbols to address the ongoing cultural clash between the United States and Latin America. His recent work looks at issues of immigration, surveillance, animal poaching, economic recession, and war. 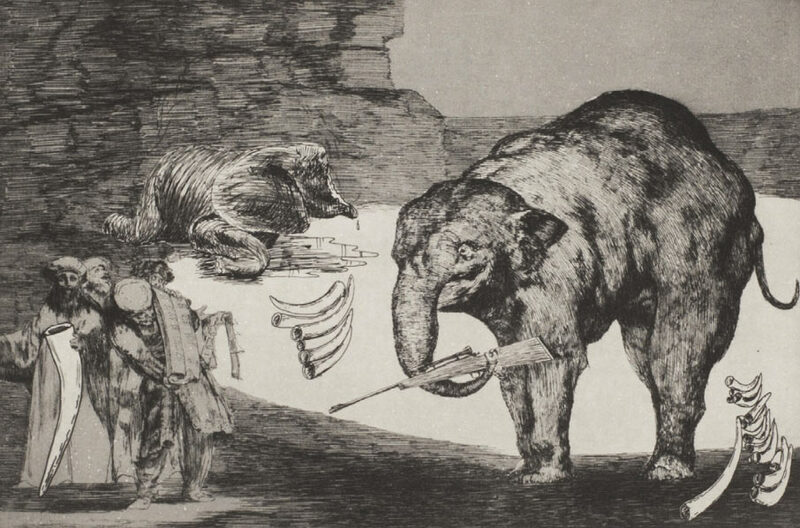 The original Los Disparates, also known as Proverbios or Sueños, were created by Goya between 1815 and 1823. They were not released during his lifetime due to the Inquisition and the oppressive political climate in Spain. In 1864, the series was published by the Royal Academy of Fine Arts of San Fernando. 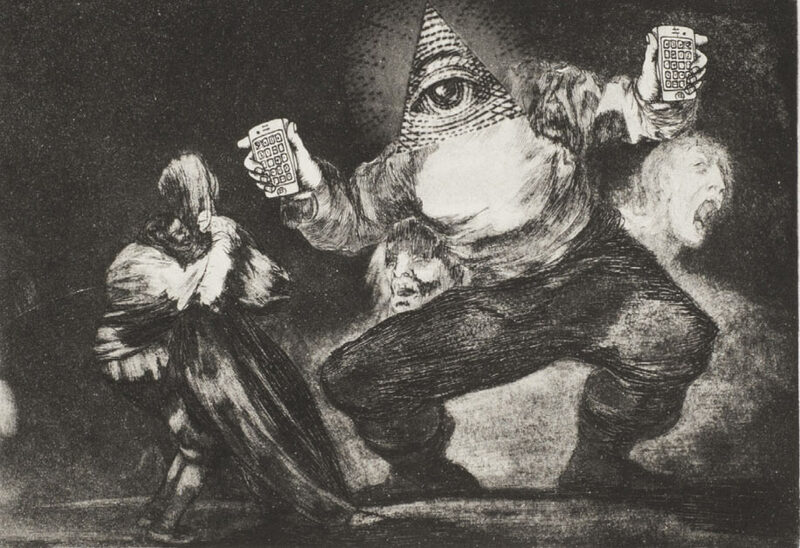 On a number of the original proofs are handwritten titles by Goya, which include the word “Disparate” or “Folly”. Enrique Chagoya was born in Mexico City and now lives in San Francisco, California. He received his BFA from the San Francisco Art Institute as well as his MA and MFA from the University of California, Berkeley. Chagoya won an Academy Award in Art from the American Academy of Arts and Letters. He is a recipient of a Western States Arts Federation Regional Fellowship, an artist fellowship in Giverny, France, from the Lila Wallace Foundation, a Tiffany Fellowship, and two NEA artist fellowships. Chagoya is a professor of art and art history at Stanford University. His work is found in over thirty public art collections including the Museum of Modern Art in New York, the Metropolitan Museum, the Whitney Museum of American Art, the New York Public Library, the Des Moines Art Center, LACMA, the San Diego Museum of Contemporary Art, the de Young Museum, and the San Francisco Museum of Modern Art. Chagoya’s relationship to Kala goes back to 1984 when he was an artist-in-residence. Kala’s Board of Directors recognized Chagoya in 2009 with its Master Artist Award for his achievements in the field of art and education. In 2013 Kala honored Chagoya with a retrospective, Freedom of Expression: The Work of Enrique Chagoya curated by Peter Selz and Sue Kubly.